Sarah Pink has a PhD in Social Anthropology from the University of Kent and an MA in Visual Anthropology from the University of Manchester. Her first applied anthropology project was directly after graduating with a BA in Anthropology from the University of Kent, on a project about parcels service customers, followed by other consultancies. Since being awarded her PhD in 1996 (published as Women and Bullfighting in 1997) she has worked at the University of Derby, Loughborough Univeristy and is Professor of Design and Emerging Technology at Monash University, Australia. 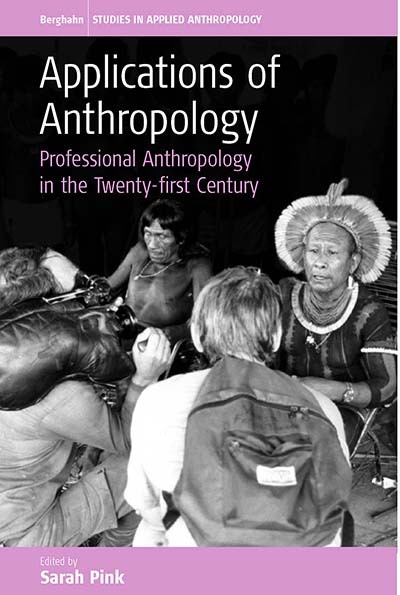 PART I: THE HISTORY AND DEVELOPMENT OF APPLIED ANTHROPOLOGY IN THE U.K.
Chapter 8. Anthropologists in Television: A Disappearing World?